Today I have taken a classic sandwich and made it into a salad, with a little tiny twist. 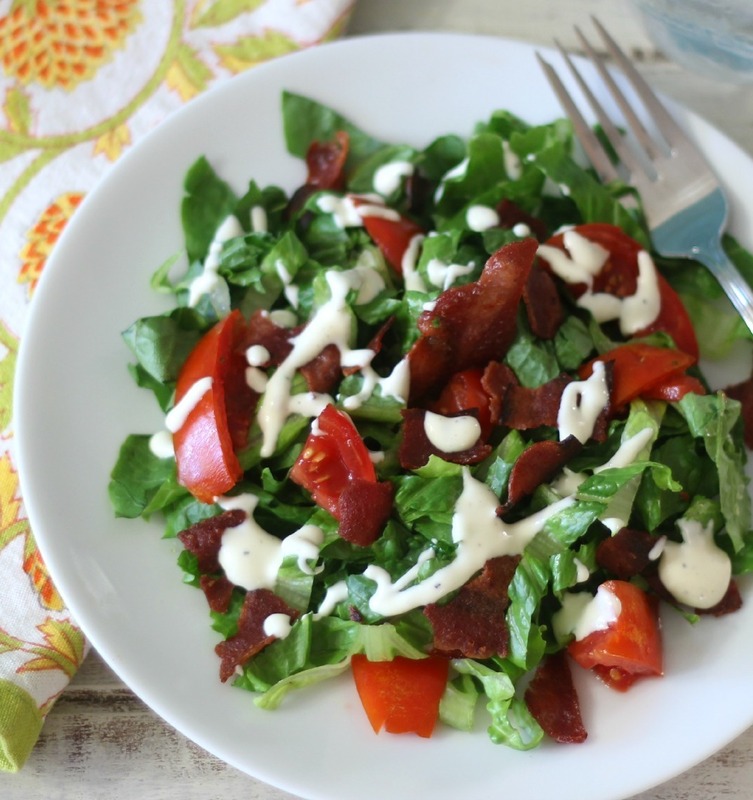 This is my newest, tasty salad the BLT Salad. It is so good! I am loving it and I think you will too. 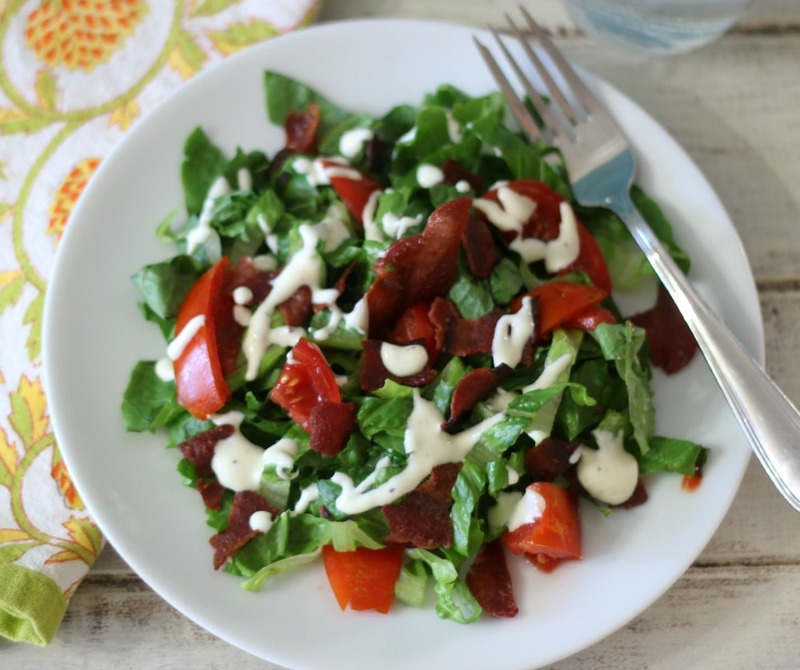 The name says it all, it’s made with lettuce, tomato, turkey bacon and a homemade creamy dressing to top on the salad. Now I have to admit a classic BLT contains pork bacon, but mine is turkey bacon. This was the first time I ever cooked or had turkey bacon and I was pleasantly surprised on how tasty it is. I could not tell the difference in my salad. Matter in fact my salad truly tastes like a BLT sandwich without the bread. Score! 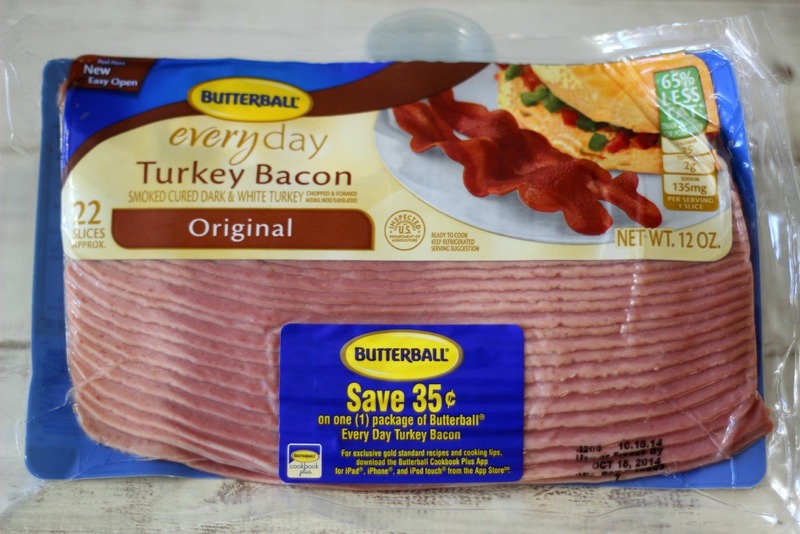 I discovered Butterball Turkey Bacon at the grocery store and I thought why not give it a try? I cooked it in a skillet, flipping it periodically, until it got nice and crispy. I let it cool off on a paper towel and crumbled it over my salad. Of course I had to take a sample of the turkey bacon and it was delish. I love that it is only 25 calories a slice and 25% less fat than pork bacon and it’s a hit with the family. 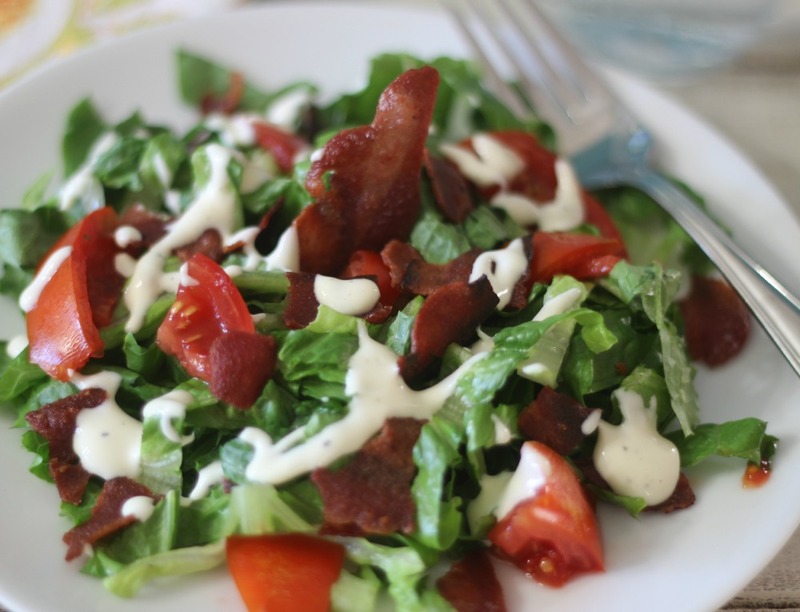 A healthy, low calorie salad made with lettuce, tomato, turkey bacon and topped with a mayonnaise dressing. it tastes just like a BLT sandwich without the bread. In a small bowl, add mayonnaise, olive oil, salt and pepper, mix until combined. Add a dash of milk, until it is the constancy you like for dressing. 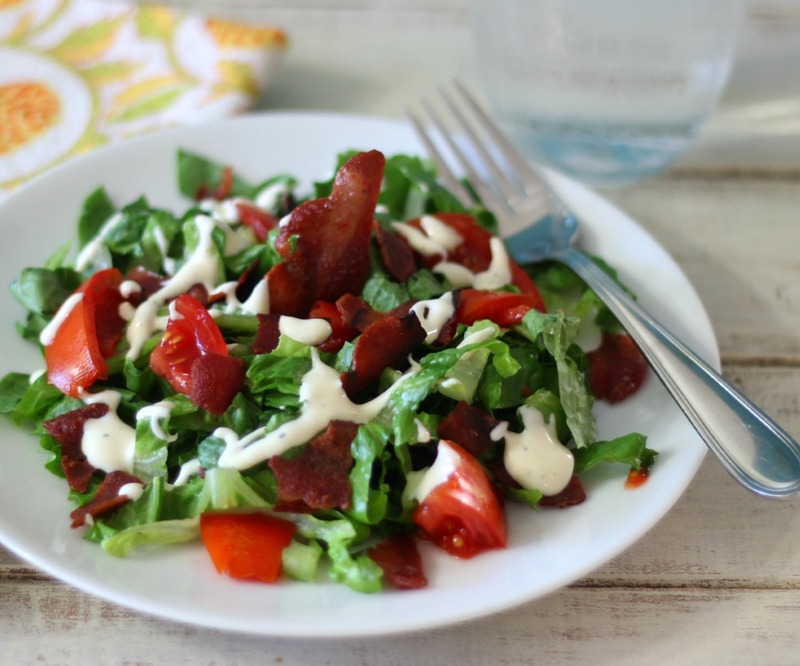 Divide between two plates, romaine lettuce, tomatoes and bacon. Serve with dressing. Oh and here is a link for Butterball coupons.